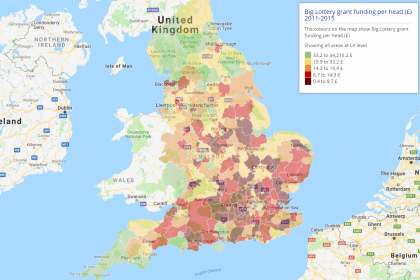 For the last 18 months, Local Trust have been using Local Insight to support Big Local groups across the country to identify local needs in their communities. 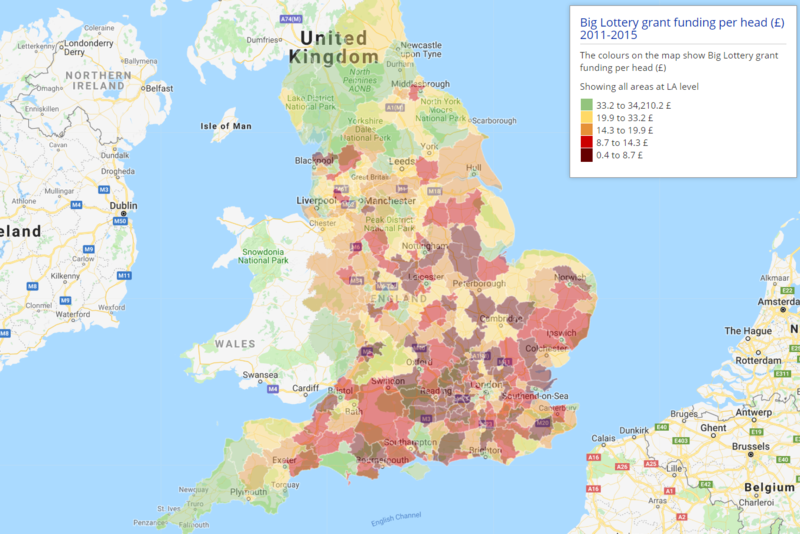 Local Insight is designed to be intuitive and accessible by all – so that it’s not just statisticians that can access and understand the contextual data about their local areas. As a member of the Support Team, it is great to have the opportunity to see how our tools are being used day to day. 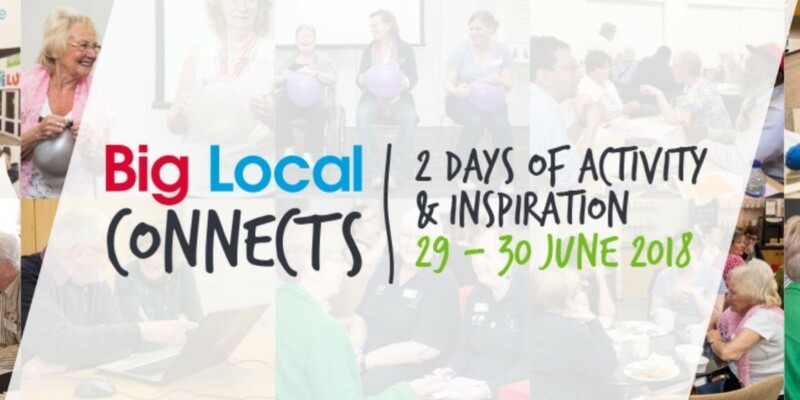 So I jumped at the chance when Local Trust invited us to take part in Big Local Connects 2018: An event bringing together all 150 Big Local areas in one place for the first time. It promised to be packed full of activities and opportunities to share ideas – here’s a summary of what we took away from our time there. Generating an area profile report for a comprehensive overview of their area. One user was particularly interested to know how Local Insight could fit into his reporting workflow. His example was understanding crime in his area. 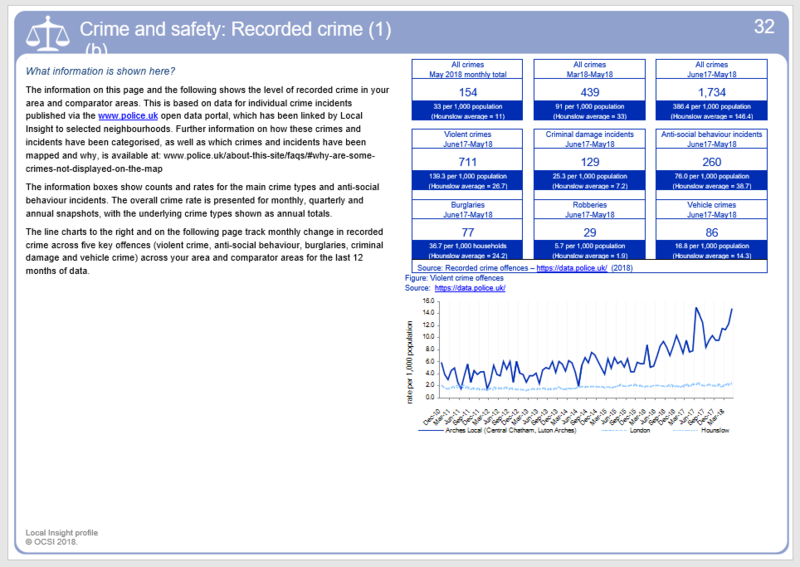 He told us he spends most of his time going directly to the source for the various datasets (in this case, police.uk) and creating reports manually each month in order to have the latest data and see trends over time. 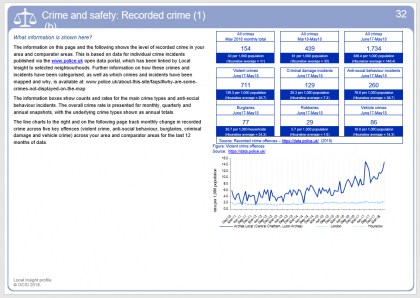 We loaded up his account, showed him his Big Local area and how to generate a report for his area. We also looked at a report for his area and discussed how he could copy the charts and paste what he needed into his own reports. 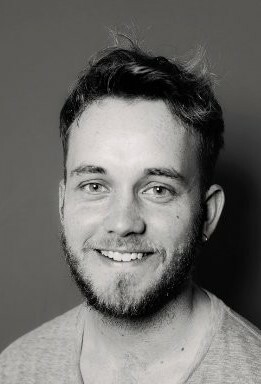 This workflow ensures he has the latest data, kept up to date by Local Insight, and means he can spend his time using the data – rather than collecting and formatting it! Seeing as OCSI is based in Brighton (and some of us are partial to the odd drink or two), we couldn’t not attend the session telling the story of a pub in Moulsecoomb! Bob Thust, a trustee at the Local Trust, led the talk More than a pub, The Bevy as a community building. He told the story of The Bevy’s early struggles leading to its closure, but how it has since been renovated and reopened by 700 community shareholders and volunteers. The Bevy now flourishes and has become a mainstay of the local area, hosting a number of events in the community, involving its patrons and shareholders every step of the way. Not only was it exciting to hear the success story of locals’ efforts to improve the community, but it was clear from the Q&A afterwards how emboldened the attendees were, asking for tips and ideas, discussing how they could bring similar projects back to their Big Local area. Those of us who were lucky enough to attend heard stories from volunteers of how their actions had genuine positive impact on their community. Some representatives even showed others the way to the train station, as some volunteers had never been to London before. It was hard not to notice the passion and commitment each representative had to improving the lives of others, in their communities and by helping those around them. Big Local Connects brought together hundreds of people from all over the UK to share ideas: It brought people together in every sense of the word.